Got Blog Smog? Not sure? Check out this video! I wanted to share this video with all of you! It's great especially for all of you that blog! Trisha with Sweet N Sassy Girls needs our help! Trisha from Sweet N Sassy Girls was just nominated for Mother of the Year in the Utah Baby Guide Magazine. I'm going to say why I think Trisha deserves this! Trisha is another blogging mom that will jump through hoops to help others out! She is caring, funny and charismatic. She is definitely generous! Here is the information on voting from Trisha's blog! If you want the details, I am #9 in the Most Generous Category. The contest is for the Utah Baby Guide Magazine. So, if you want to vote for me, you basically have to send an email telling them you want to vote for #9. Details are here. So it's hitting me. I have FOUR daughters. If anyone thinks that sounds like complete bliss has yet to consider everything that entails! = 4 weddings (whoever came up with the "bride's parents pay for it" had boys!" Now my husband seems to think that the girls will all have jobs, boys won't be a problem, and we are going to only need one phone line. Yes he is living in la la land! I sure wish I could join him! Unfortunately, the plane left with me standing in the terminal! The boys are calling and our oldest is on the house phone more than I am! Off to make sure the shotguns are loaded. Have a great day! I have breastfed my last three daughters exclusively. I did attempt with my first daughter and failed miserably! What led to my failure was my lack of knowledge about breastfeeding. I was told that she was eating too often because she wasn't getting enough. I was told that my milk was not enough by an RN! So I believed it. I started to give her formula. When I began nursing my third daughter, I started researching breastfeeding. I realized that I was lied to. I felt cheated out of my breastfeeding relationship. I went on to successful exclusively breastfeed my next three daughters! I'm still nursing my 9 month old. But the other two nursed for 18 months! Shari Criso teaches a breastfeeding class known as “Simply Breastfeeding: The Criso Breastfeeding Method”. Now this class is offered on DVD! 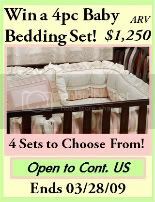 This makes it easy for all new moms to find a resourceful class that is informative! Shari Criso is a Certified Nurse Midwife, International Board Certified Lactation Consultant, nationally recognized parenting educator, entrepreneur, and most importantly, loving wife & proud mother of two amazing daughters, Jade and Talia (ages 7 and 4). I found that Simply Breastfeeding is an extremely informative resource. Because I breastfed for so long and researched thoroughly, I thought for sure it wouldn't teach me anything. I was proved wrong! The Simply Breastfeeding DVD combined with a workbook helps new parents learn how to have a successful breastfeeding relationship. It also helps parents learn why they should work for a successful relationship. Shari Criso expressed the important role that dad's play in the breastfeeding relationship. It's not just a mom's game! Dad's can be just as important in making sure that the breastfeeding relationship goes as desired. Dad's can help mom's reach the goals that are desired. This DVD should be an easily accessible resource for all pregnant moms that do not have the ability to get to a breastfeeding class. I have heard many times how the lactation consultant was not available leading to a failed breastfeeding relationship. I have also heard all the myths about when your milk comes in. This DVD will reassure you that your baby is not starving! Shari builds your confidence in your body that YOU can do it! If you are pregnant with your first or fifth baby, check out this DVD from My Baby Experts! It is a 2 hour DVD but it has the convenience of pausing and coming back! So grab a pencil, download your workbook and get to watching! I am so excited to tell all my readers that I have an early Easter gift for all of you! In a house full of girls, nail polish is a requirement! I am impatiently waiting for my first go with piggy paint! Piggy paint has generously offered a special 20% discount code for my readers! This code will be good through May 1, 2009! Perfect timing to get those piggies painted in time for sandals! How about buying some for Mother's Day? Plan a day with the girls doing pedicures! Don't forget to check back here for a pedicure party with my girls! We'll be putting this paint to the test! Now get on over to Piggy paint and get yourself some piggy paint! COUPON CODE: MOBLOG20L enter at checkout! Expires May 1, 2009! I have recently found these great products! I'm waiting for my first DVD to write a full review but I want to share with everyone how awesome this company is. They have such great ideas on how to help your children grow. The best part is they use stuff that is in your house already! Take a few minutes and check out this segment before brought to you by Eebee and Parents TV. Watch it with your little ones then take them in to the other room and play! with Stoney gone, my grocery bill for the week is about $30! Okay so it is inevitable that I will have to run back to the store later this week for something! Not sure what but it never fails! But for now, the girls and I are living CHEAPLY! I am learning the ropes of buying stuff while it's on sale. Not just a regular sale but a REALLY good sale. I only buy what I can use so it won't go bad either! I planned my meals this week around what I already had in the cupboards. We save on meat since we bought a beef and lamb. Now I don't clip coupons even though I probably should! I stick with the sales! I do buy in bulk when I can. I also will buy the store brand on a lot of items. There are some that I want the name brand stuff, but a lot of times, I'm getting store brand! Now I'm curious what does everyone else do to save money at the grocery store? Leave a comment with ONE favorite way to save at the store. Leave as many comments as you want but try not to repeat others. Hey everyone! Hope you are having a great week! 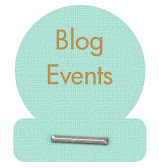 If you notice down on the bottom of my blog is a little button with a counter on it! I can't believe that number is less than 400 away from 5000! So I'm going to offer one person who can get a screenshot of 5000, 5 extra entries for EVERY giveaway I'm hosting at the time! Be on the lookout the next few days as I host even more as well! I recently started vlogging thanks to newbaby.com and Vado! I am learning how to edit with windows movie maker. Thanks to some other blogging moms from momdot, I have gotten the hang of some things. So I want to share with some other vloggers out there how it's done! 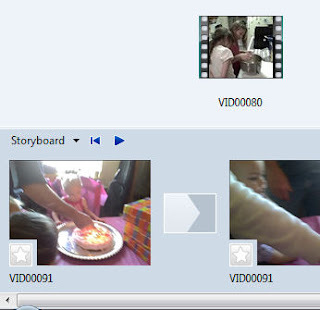 I have several videos from Sydnee's birthday party yesterday that I want to put together and make into one. so here I go. This is just going be simple! I'm No WAY very good at writing these things! Any questions just email me! 1. Import videos by click on videos. 2 Drag desired video to storyboard. 3. If you want to trim the beginning press the play button and when you get to desired starting section, press (i) key. If you want to trim the ending section press the (o) key. 4. To trim multiple sections, just drop the original into the next slide and trim accordingly. 5. To add effects, transitions or titles to the video go here. Place them in the storyboard as you want them. 6: To Publish. This is the tricky part! To avoid the green line do this! 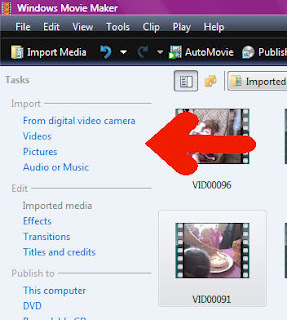 Change settings to "more settings: DV-AVI (NTSC)"
After publishing, import the new video again. 7. Now you should have a video ready to share with your friends that isn't HUGE and doesn't have a green bar! My friend Stefanie over at Mommy's quiet time Blog is offering a CD for Tiffany Giardina. You can get unlimited entries for this CD! Hop on over to Stefanie's blog and get this for your girls. I listened to the song and I know my girls will love it! As most people know, I am a cloth diaper mom! I love cloth diapers. One of my favorite things to find are wipes that are soft, absorbent and cute! Since I started cloth diapering 6 years ago, I have found that my favorite fabric for wipes are velour. I think they are exactly what I need! Recently, I came across a product that offers 100% cotton-woven velour terry in their wipes. 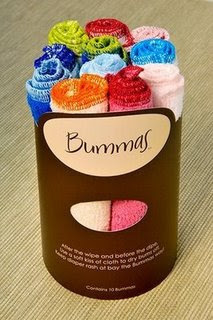 Not only did Bummas claim to be a soft kiss for the baby's bum but they were cute as well! So of course I had to give them a try! After washing them a few times, I expected them to lose some of their softness but was so ecstatic that they were just as soft as when they first arrived! One bumma was enough to wipe her baby bottom! They were also perfect for wiping a little runny nose! Keep diaper rash at bay, the Bummas way. After the wipe and before the dipe, use a soft kiss of cloth to dry bums off! 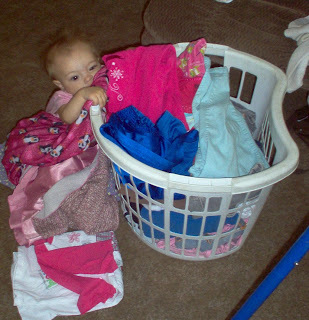 Not a cloth diapering mom? Don't fret! Bummas were meant for disposable users too! Here is Bumma's routine on using them! Grab a bumma cloth before opening the diaper. Sneak “attacks” are frequent and will happen the second your mind wanders! Place the bumma over the privates while tending to the other parts. One bumma will soak up an entire pee. Clean up baby with a regular wipe or wet a bumma and clean up sensitive skin. Use another bumma to thoroughly dry baby off. Re-diaper. If the cover bumma gets soaked rinse it off and throw it in the wash. The payoff- a dry bum, no diaper rash, and no surprise squirts. Save money on diapers, powder, and ointment. You can wash them and use them again and again. Eliminates use of talcum powder. 100% cotton-woven velour terry cloth. Durable. Just throw them in the washer and use again and again. Will not pill, shrink, or fade. Bummas will last after all the diaper changes are done and beyond! Easy enough right?? Well now you've heard from me and you've heard from Bummas but what about actually seeing Bummas in use! Sydnee said they are so soft! They fit in my wipe warmer PERFECTLY! Playing Peek a boo with Bummas! Sydnee using a bummas for her nose! Hop on over to Bummas pick your color and order 10 bummas for $16.99! Think it's too much? Keep in mind that they are washable and reusable! Visit the Bummas Site and tell me what color you would love to have. Bummas will be sending one lucky reader their own set of Bummas! For the entries that you received an extra entry, please leave one comment for each entry. 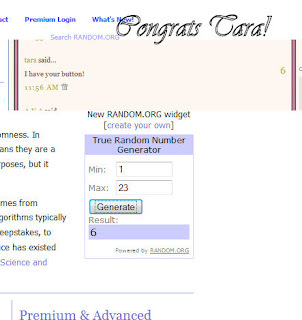 For example (blog entry 1, blog entry 2, subscribe 1) this will ensure your entries are in! The winner will be chosen via random.org on Saturday, April 11! We're going on a diaper hunt! Most cloth diapering moms have heard of this biannual event. An event that takes up all your free time for the month of May and November. Personally, I am a diaper hunt addict! Well for those who don't know about it, I want to tell you all about it! WHAT: An online scavenger hunt that takes you through several different WAHM businesses. WHEN: May 1-May 31, 2009. Hunt starts at 11 am EST! Registration starts April 15! WHY: The diaper hunt was created to help introduce consumers to a variety of WAHM businesses. WHERE: Go to Diaper Decisions for more information on registration, sponsors and how to participate! Don't forget the prizes! One Ultimate Grand Prize worth over $600 and a Daily Prize for each day of hunting! 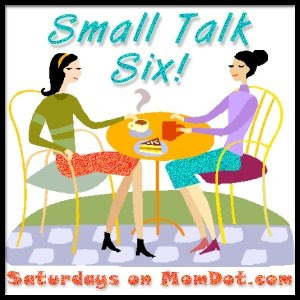 Saturday Small Talk Six, Baring it all! Want to join in? 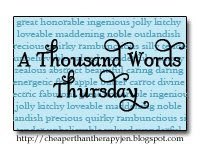 Go here to learn how and to view the weekly list Small Talk Six topics for 2009. Today’s topic is “6 things you would like to do naked if you lived alone.” You can answer this with a list of 6 words, 6 phrases, 6 sentences, 6 paragraphs, 6 photos, 6 videos, etc . .
1. CLEAN. I wouldn't have to worry about spilling bleach on my favorite pink pj pants! 2. DANCE. I feel free while naked anyways, so I might as well just grab my drink of choice (pepsi) and let everything else go! 3. SUNBATHE. Ok so I would have to live somewhere I didn't have neighbors either or REALLY high fences. Like 20 feet. Can't have any peeping toms over! 4. SWIM! I'd get an indoor pool and swim in my birthday suit! 5. WATCH TV IN THE LIVING ROOM. I would totally walk around the house and watch TV in the living room naked. Just completely relaxing! 6. FILE BANKRUPTCY. My husband would NEVER leave me alone! So he'd probably lose his job since he'd always be calling in! Did you know that in Hawaii, Aloha Friday is the same thing as Casual Friday. So on Fridays, I like to keep it short and sweet. I will ask a question and you can answer with a short response. Don't worry about writing a book of a comment. We wouldn't want you taking time from your weekend plans! Last week, I started a spring theme. So I'm going to keep it up! here it goes! If money was no object, where would you spend spring break? I have to say I would spend it in a private resort in the Caribbeans. I want private so I don't have to deal with the teenagers and I can enjoy! 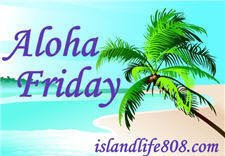 For more Aloha Friday, hop on over to Islandlife and join in on the fun! What was the point in doing laundry again? For Easter, I always like to do something a little different for the girls. Instead of regular baskets, I want to get something that can be used over and over. My friend Valerie, sent a link to this blog. It couldn't have come at a better time! I loved the look of these buckets! I loved that I didn't have to spend $20 on them either! I knew they would be perfect for Easter! I attempted to order from Renae's etsy shop. I got confused with the ordering, so I just emailed Renae. She was VERY helpful. The customer service was friendly, professional and personable. She didn't treat me like I was just a customer. She treated me like a friend! That spoke volumes to me. After receiving them, I was even more impressed. They are plastic but not cheap plastic. They are durable and will hold up well! Which is a high priority for myself as a mom! I also love stuff that I can use for a variety of things! Put some bibs and other accessories that are needed near by! Use them to store some toys! How about some books? This would be great next to the bed for those bedtime stories! Photo courtesy of Valerie. She uses her bucket for diapers! Aubrey is a happy customer! Tree Frog Creations is owned by Renae. Renae spent 15 years in education. Then 3 years ago, she was blessed to become a stay at home mom. She began her hobby when she purchased a machine that cut the designs. A hobby soon became a business! You can tell that she is very excited about this venture! Not only does she do these buckets but she has a lot of other products and more to come! Don't want to wait to win? Go on over to her etsy and get your own buckets! Starting at $8! The incredible and generous Renae over at Tree Frog Creations is offering to give one of my lucky readers a free bucket with free shipping! The rules are simple! Go to their site, Tree Frog Creations and tell me a product that you would love to have. THIS IS REQUIRED BEFORE ALL OTHER ENTRIES WILL COUNT. The winner will be chosen via random.org on Thursday, April 9! EVERY MAMA SHOULD HAVE THESE! I recently received a combo pack from Labeldaddy. They arrived in a plastic Ziploc bag tucked in an envelope. So they arrived in perfect condition. Just feeling them, I could tell how durable these labels were going to be! Which is exactly what I need with a rough and tough preschooler. I was also very impressed with how stylish they were! But I know looks can be deceiving. So I decided to put these babies to the test! I started out by signing onto helpful hints on their website. Next I got the small labels and the clean shirt. After reading the very helpful hints on the website, I was ready! WOOHOOO I love the way it looks! Of course I had to attempt them on some other things! I put them in her shoes and she wore them and never had them come out. My overall opinion on these is that these are definite must haves! They are cute enough to put on kids notebooks for back to school, durable enough to go on sports equipment, and affordable enough for everyone to get some! Save yourself some time with those boring markers! Get something that the kids can show off! I also have to add that my 3 year old LOVED helping with these! Make it fun! The two founders met in high school. Both men are very successful in two different career paths. But they put those successes and came together. Just two regular daddies that knew that something so simple and practical was a huge necessity! They thought of this idea when they heard a lot of parents complaining about the time spent on labeling children's items. A product that would be easy to use, time efficient for mom, durable for dad, inexpensive for both and very personalized. The incredible and generous daddies over at Labeldaddy is offering to give one of my lucky readers a gift certificate for $35! The rules are simple! Go to their site, labeldaddy and tell me what you'd spend your $35 gift card on! THIS IS REQUIRED BEFORE ALL OTHER ENTRIES WILL COUNT. You Can Make This Winner! Congratulations Tara! I will be contacting you shortly! Want to know what Tara won?? She won a $50 bundle from You Can Make This. I can't wait to see what you come up with!